Being responsible for a dog with hearing loss or deafness is not the end of the world! In fact with time and patience your dog can live a relatively normal life, just as a hearing impaired person can. So why might dogs be considered hearing impaired? Some dogs are born with hearing loss. This is usually a genetic component. And is commonly seen is Dalmatians, Bull Terriers and Australian Cattle Dogs – however, is also seen in other breeds as well. Or your dog may develop hearing loss from trauma, infection, surgery or age related changes. What experience do I have with deaf dogs? I can relate to the difficulties experienced in owning a deaf dog. My old boy Zac was a beautiful beagle, however he developed a tendency to dig up and eat lawn grubs. I honestly have no idea why or how it started, but it did. We didn’t think too much of it, and apart from restricting his access we just avoided the post munch lawn grub kiss. Anyhow, long story short, Zac, picked up a resistant bacterial infection from the lawn grubs. The infection traveled up his eustachian tubes and into his middle ears. We tried various treatments and antibiotics, however the bacteria was multi drug resistant and the infection progressed to the point that he now had it in the skull bone near the ears. The last option for treatment was to radically remove his ear canal and all surrounding tissue. This worked in that the infection was immediately under control and removed, however, it did result in instant deafness for him. But that wasn’t the end of the world. We made adjustments and changes to our lifestyle and his, and he went on to live a very happy life. Number one – we went back to training. Previously I had trained him, on what I thought were both verbal and hand signals. Unfortunately I never thought to test them individually. He knew the verbal cues, however he had no idea about the hand signals. Whoops! We also ensured that he wasn’t allowed off lead unless the area was securely fenced. Just like a hearing dog, a deaf dog can be trained using the same principles of clicker training – but without the clicker. Instead of using the click to mark a correct behaviour, you use something else. People have used a thumbs up, torch flash etc. It doesn’t matter, as long as what you use is unique (not used regularly in everyday life), and is consistent. I have used a torch with a ping pong ball over the end (so only to light the ball, and not inadvertently dazzle the dog). These markers are used to pinpoint the desired behaviour precisely and bridge the time between the behaviour and the reward. So the second your dog sits down after you have cued a sit, the marker is given (thumbs up/torch flash), and then the reward is delivered (food/toy/pat). Okay, it might seem silly to still give verbal cues – however, dogs are amazing at reading body language, and they may even be able to lip read. Giving the verbal cue, also reminds yourself and those around you what you are asking the dog to do. All dogs (both hearing and hearing impaired) should be trained on hand signals. Just like in Auslan the Australian sign language, these can be used to communicate very effectively with our pets. 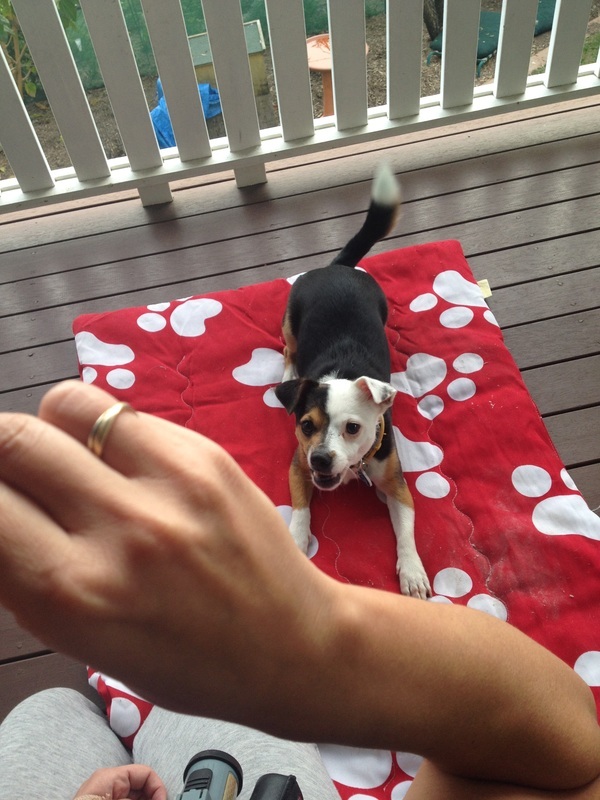 Most hand signals will develop from the lure that you use to originally teach the dog the behaviour. The most important thing to consider with these is that they are clear, and consistent amongst all family members. It has been reported that some deaf dogs know up to 50 various hand signals! Hand signal = Pointing at your eyes. Hand Signal = Moving arm up at right angles from the elbow. Once you have faded the food lure aim to have your palm facing upwards. Hand Signal = Moving hand downward from elbow - palm facing the ground. Hand Signal = moving hand parallel from the dogs nose about 10 cm parallel to the floor. Hand Signal - your cue may be waving arms or the use of a laser pointer. Finish (when giving the finish cue – do not reward afterwards – if so you have just started another training session). 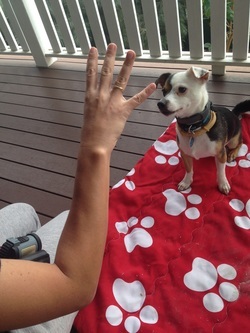 You can also teach your dog to Target to either your hand, a wooden spoon or a target stick (the spoon and stick are helpful for smaller dogs). This is an incredibly useful tool to get your dog’s attention and to maneuver them around (in and out of cars, on/off beds etc). The last thing you want to do is startle a sleeping dog. Deaf dogs are more likely to startle and they may bite in fright. When approach, stomp your feet, or pop a scented toy in front of their nose, or a tasty treat to wake them up. Ensure everyone in the family (especially the kids) are educated regarding this. There are several ways you can get their attention. They are often more sensitive to vibrations, so you could try stamping your feet. If they are a great distance, wave your arms. For Zac, we used rolled up socks and threw them past him (not at him) and then paid him with reward every time he looked at us. They can be hard to come by, however you can also purchase vibration collars (these don’t zap or spray). The collars are designed to just lightly vibrate on the dogs neck (don’t worry I tried it on my own neck first). Zac had one of these and Arthur currently uses one. We conditioned the collar so that they feel the buzz, if they look at us they get a reward. The buzz is used in place of the dogs name. It has to be done in a controlled and slow manner so that your dog doesn’t find the experience scary or uncomfortable. However these collars can have drawbacks too, so you don’t want to rely solely on them. They are expensive (when I bought my first one >10 years ago, it was $400, the current collar was $300 for a "BigLeash Vibration Remote Dog Training Collar" in 2016). You need a remote for it to work. Not everyone in the household had a remote at same time. The older collars were not water proof and had very limited range, the newer collars do not have these design flaws. Also I recommend paying your dog for focus and attention whenever they check in with you – especially when in higher distraction environments (front yard, park, vet clinic, walks etc). 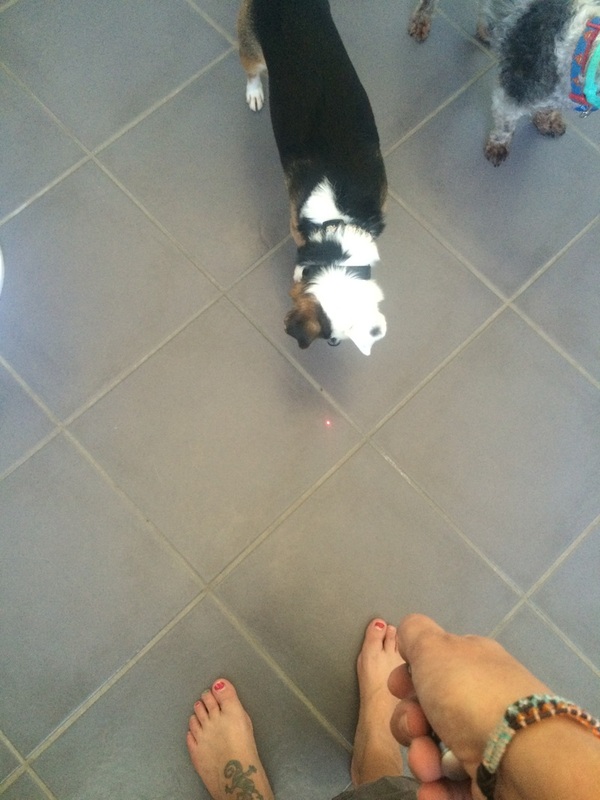 I have also used and recommend using a laser pointer as a come when called tool for deaf dogs. This needs to be used carefully so generally should not be operated by young children, and should be used solely as a come when called tool, and not turned into a game (some breeds may develop OCD tendencies). 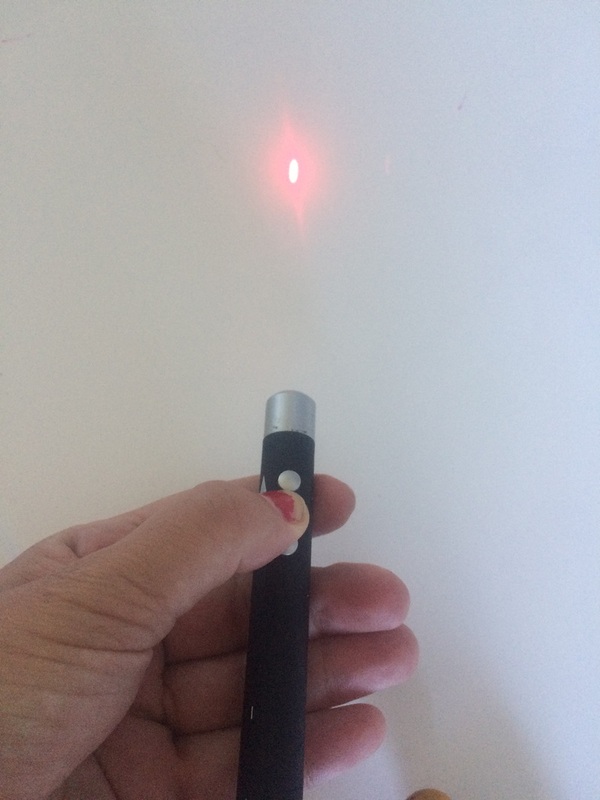 Use the laser pointer pointed at the ground (not at the dogs face/eyes) and have the dog follow it as a come when called tool. I thoroughly recommend identifying that your dog is deaf should they ever escape or become separated from you. Have them wear a name tag that also states “I am Deaf”. When out walking with you, they could wear a vest/collar/harness/bandana that states “I am Deaf” as well – this should make the general public more aware and therefore less likely to startle your dog by touching them when they are not aware. You are your dog’s advocate – so it is important that you where possible are with them to protect them and educate the public on how to approach your dog (if your dog wants to be approached) or to stop people/dogs approaching them if he/she doesn’t. I have recently ordered a medical ID tag for Arthur (He’s an epileptic) from StickyJ.com – these are customizable so you could put your pet’s name, phone number and that they are deaf on the one tag. 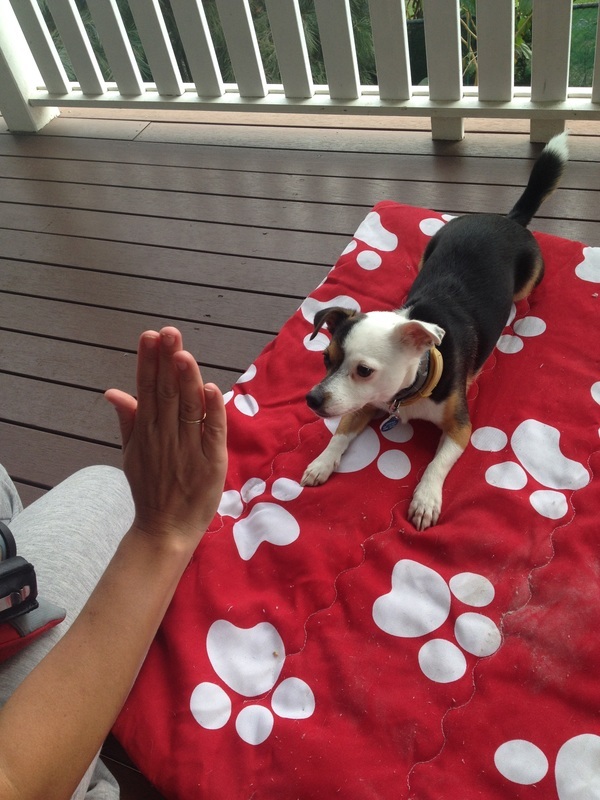 If you have recently acquired a deaf dog, please seek the help of a qualified positive reinforcement trainer. Day, C. (2016). On Deaf Ears. 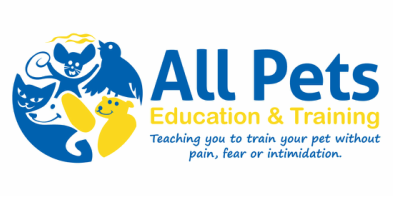 [online] Pethealth.com.au. Available at: http://www.pethealth.com.au/Page/deafness-in-dogs [Accessed 7 Jan. 2016]. Deafdogs.org, (2016). DDEAF Training Tips. [online] Available at: http://deafdogs.org/training/ [Accessed 7 Jan. 2016].